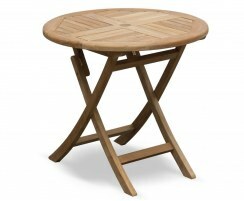 This Suffolk 4ft round folding garden table is ideal for entertaining your family or groups of friends, comfortably seating up to four diners. 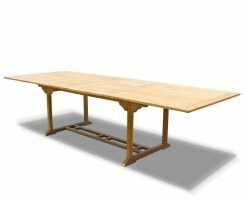 Stylish, practical and robust, you can enjoy fine alfresco dining then fold your table away when it’s not needed or you wish to reclaim your space. 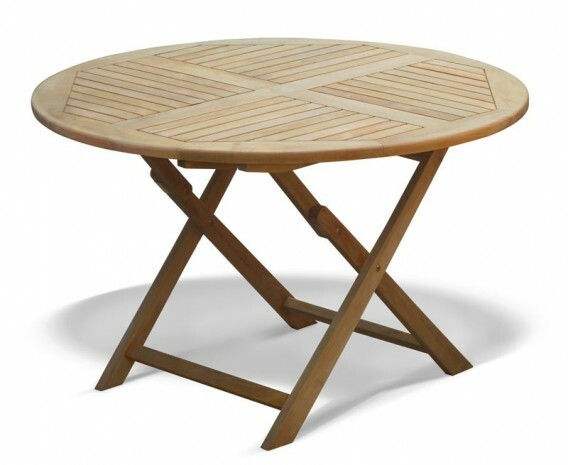 This 4ft round folding garden table is crafted from sustainable A-grade teak and is sanded to a smooth finish for long life and great looks. This round folding garden table can remain outdoors all year long no matter the weather whilst requiring only minimal maintenance. 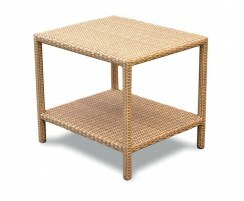 What’s more, this garden table can be folded for easy, convenient storage, so you can reclaim your space when you need to. 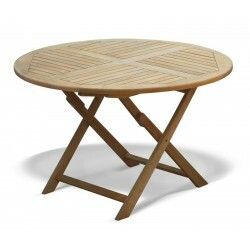 This circular table has been pre-drilled to permit the use of a parasol and is supplied with a flush-fitting teak parasol plug if not required. 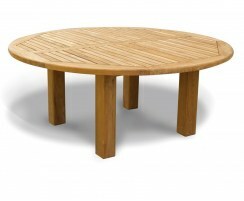 The table is finished with radial-edged slats to help it dry off after the rain. 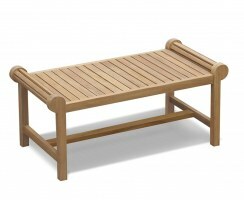 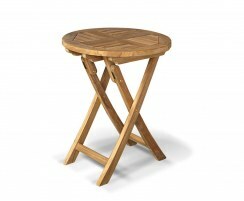 This folding outdoor dining table will be delivered fully assembled for your immediate enjoyment.